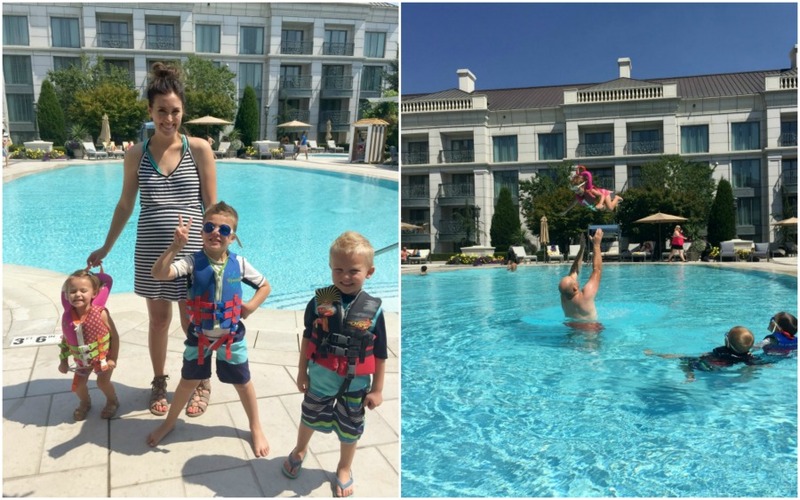 We wanted one last fun trip before school started this fall, so we headed to Salt Lake City for a staycation with our 3 kids! 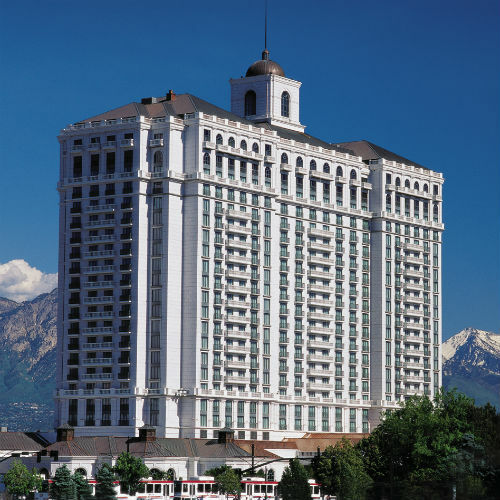 Our favorite place to stay while in Salt Lake City is The Grand America Hotel. It is absolutely gorgeous and is so family friendly! The Grand America Hotel is right down town and is so close to shopping, dining and entertainment! Our kids LOVE the pool! You can order food and drinks poolside, there is a kiddie pool and the views are gorgeous! We stayed in two adjoining rooms, which means we actually got a decent night’s sleep while staying at a hotel which doesn’t happen often! When we got to our room we were welcomed with some amazing French pastries from the hotel’s La Bonne Vie patisserie. Seriously, I’ve never eaten so many delicious macarons. Our six year old kept saying “they are treating us like royalty!” Our other two children were busy drawing pictures on the hotel stationary. 🙂 The Grand America also has the cutest toy store called JouJou and guests with children get a token for a toy of their choosing. Our kids were seriously in heaven! They especially loved the outdoor movie night at the pool. If you want to eat at The Grand America, they have an amazing breakfast buffet at the Garden Cafe that is free for kids 3 and under! I can’t even do our stay justice, but The Grand America is the only place we stay in downtown Salt Lake City! After we were settled into our room, we went out to explore the city! One of our first stops in Salt Lake City is Temple Square. We love to walk around and see the temple and go to the visitor’s center. Just be sure you don’t fall into the reflection pool…. 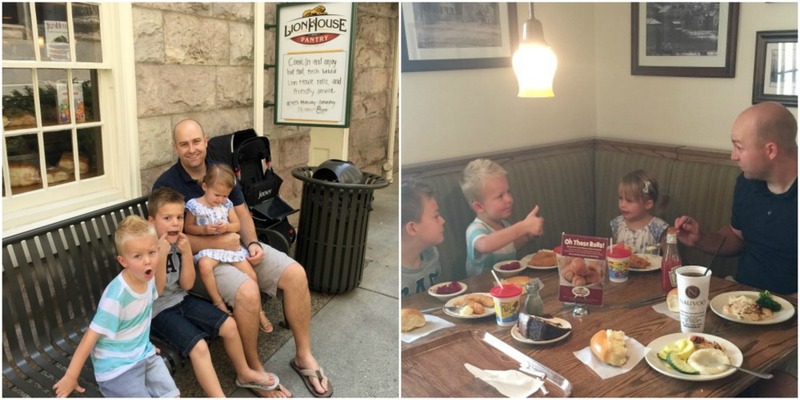 There is also some delicious dining at Temple Square, and our favorite place to take our kids is the Lion House Pantry Restaurant. The food is absolutely amazing and the history is just as great! Be sure to get some of their delicious rolls and a slice of cake! Discovery Gateway Children’s Museum. Our kids LOVE Discovery Gateway! There are so many fun things for them to do and explore! Clark Planetarium. Entry to the Clark Planetarium is FREE! Let your kids explore science and space at some of their fun exhibits. You can also catch a 3D IMAX movie in the Hansen Dome Theater! We went and saw a movie in the dome theater about stars and our kids were mesmerized! The Gateway Mall. 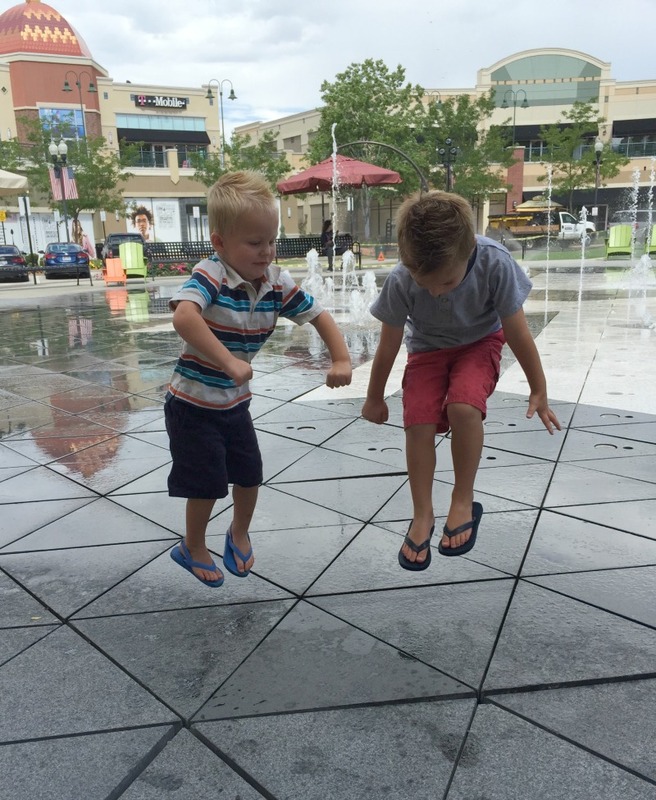 The Gateway Mall is an outdoor mall filled with fun shopping and dining, but our kids love the splash pad the most! Downtown City Library. 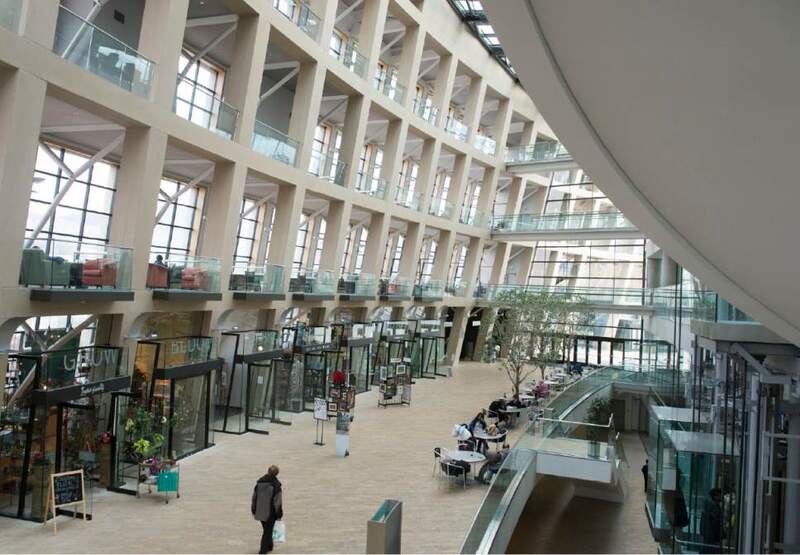 With a rooftop garden, cafe and children’s section, this isn’t your average library! 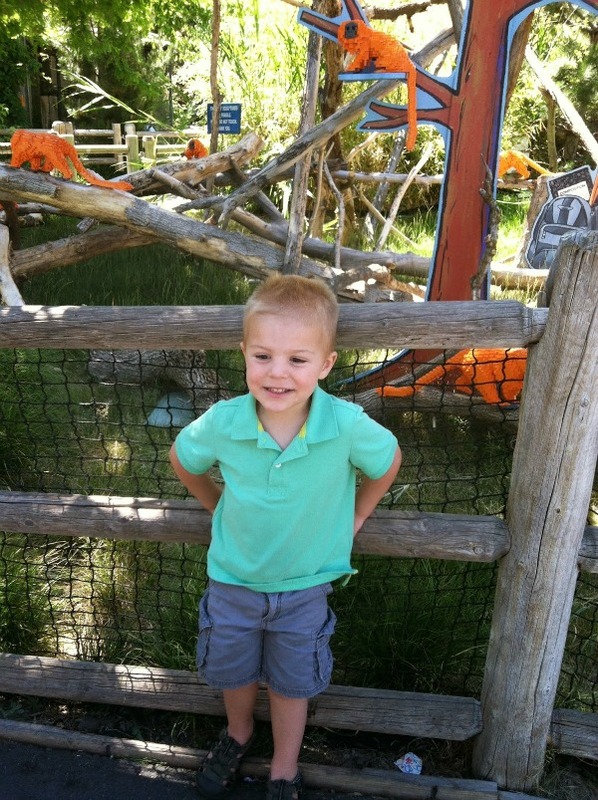 The Hogle Zoo. Our kids could spend the entire day here without getting bored! There are so many fun attractions and all the animals they love, from lions and tigers to giraffes and elephants! This Is The Place Heritage Park. There are so many fun things for kids to do here! 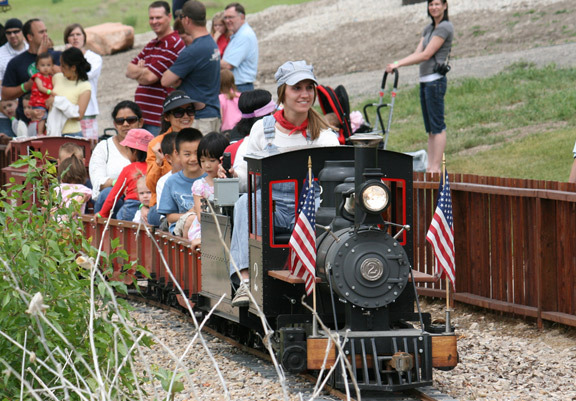 Train rides, pony rides, a splash pad, and plenty of exploring to do in a historical pioneer village! 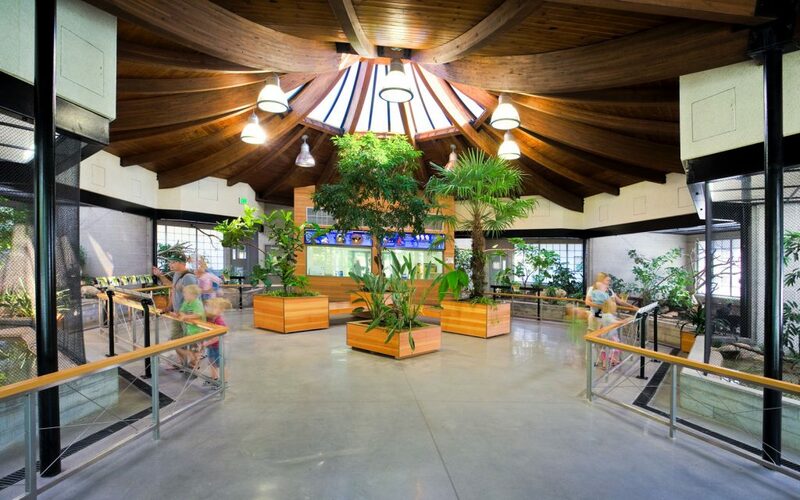 The Tracy Aviary. With over 400 species of birds, your kids are bound to find something they love! The aviary is right next to Liberty Park which has a pond, walking trails, playgrounds, carnival rides and acres of space to get wiggles out. 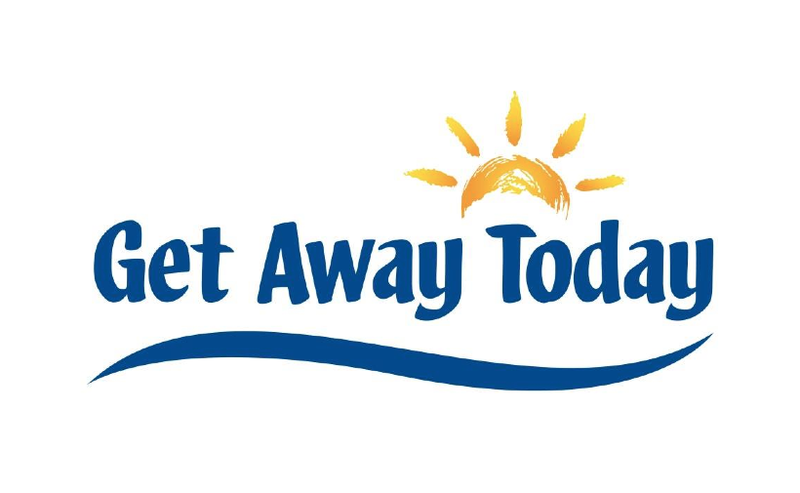 Let Get Away Today help you save money and book your next family vacation!